The SPECTRALIS® is an ophthalmic imaging platform with an upgradable, modular design. This platform allows clinicians to configure each SPECTRALIS to the specific diagnostic workflow in the practice or clinic. Multimodal imaging options include: OCT, multiple scanning laser fundus imaging modalities, widefield and ultra-widefield, scanning laser angiography and OCT angiography. Swipe the table to the left to show all content. 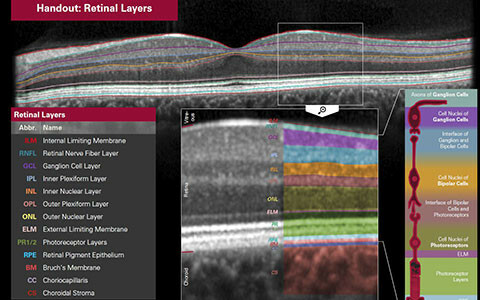 The SPECTRALIS® OCT imaging platform combines scanning laser fundus imaging with simultaneously acquired OCT.
As an expandable platform, it can be upgraded with additional scanning laser fundus imaging modalities, such as BluePeak autofluorescence and MultiColor, as well as advanced modules such as OCT2 and the Glaucoma Module Premium Edition. The SPECTRALIS OCT is also available with an optional panning camera head and an external touch panel control for easy adjustment and acquisition. The SPECTRALIS® HRA+OCT imaging platform combines scanning laser fundus imaging modalities including dye-based Fluorescein Angiography (FA) with simultaneous OCT imaging. As an expandable platform, it can be upgraded any time with additional modules, such as the Glaucoma Module Premium Edition, the OCT2 Module, as well as the Widefield Imaging and Ultra-Widefield Angiography Modules. The SPECTRALIS HRA+OCT is always delivered with a panning camera head and an external touch panel control for easy adjustment and acquisition. The SPECTRALIS® HRA imaging platform is especially designed for dye-based angiography such as Fluorescein Angiography (FA) and is equipped with several scanning laser fundus imaging modalities. As an expandable platform, it can be upgraded any time with additional scanning laser fundus imaging modalities, such as ICGA imaging, the Ultra-Widefield Angiography Module or the MultiColor Module. The SPECTRALIS HRA is always delivered with a panning camera head and an external touch panel control for easy adjustment and acquisition that in particular facilitates dye-based angiography with FA or ICGA. Some options can be added anytime; some are only available at initial equipment purchase. 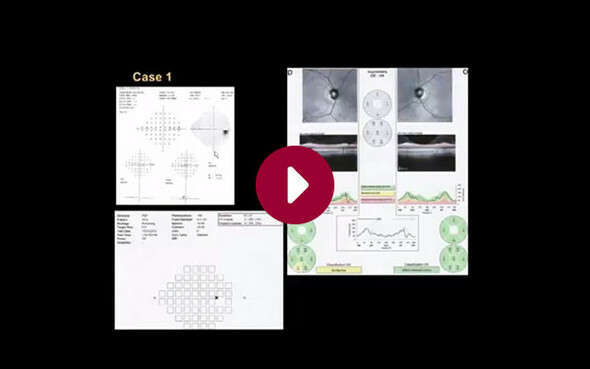 In this video, Sanjay Asrani discusses correlating structural OCT measurements taken using the SPECTRALIS diagnostic imaging platform with functional data obtained using the Heidelberg Edge Perimeter. This guide contains a detailed overview of individual retinal layers, their borderlines, terminology as well as correlating cell structures of the retina.